FUEL EFFICIENT 34 MPG Hwy/25 MPG City!, PRICED TO MOVE $2,200 below NADA Retail! Audi Certified. NAV, Sunroof, Heated Leather Seats, Rear Air, AUDI GUARD ALL-WEATHER FLOOR MATS (SE... 20" BLACK OPTIC WHEEL PACKAGE, Turbo AND MORE! Leather Seats, Navigation, Rear Air. 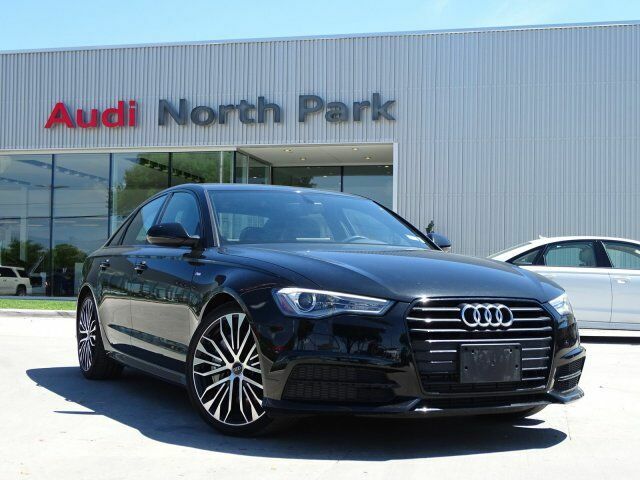 Audi Sport with Mythos Black metallic exterior and Nougat Brown interior features a 4 Cylinder Engine with 252 HP at 5000 RPM*. 20" BLACK OPTIC WHEEL PACKAGE Tires: P255/35R20 Summer, Wheels: 20" Black 5-Arm Star Design, AUDI GUARD ALL-WEATHER FLOOR MATS (SET OF 4) Black rubber mats w/A6 logo. MP3 Player, Sunroof, Keyless Entry, Remote Trunk Release, Steering Wheel Controls, Child Safety Locks, Heated Mirrors. This A6 is priced $2,200 below NADA Retail.